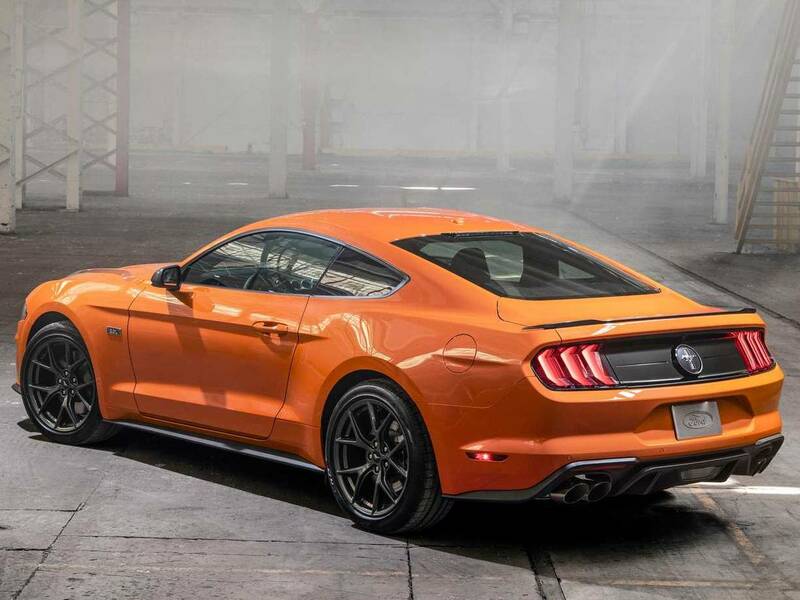 Although the performance does not seem significant, it seems that the High Performance Package has also improved the basic Mustang experience. 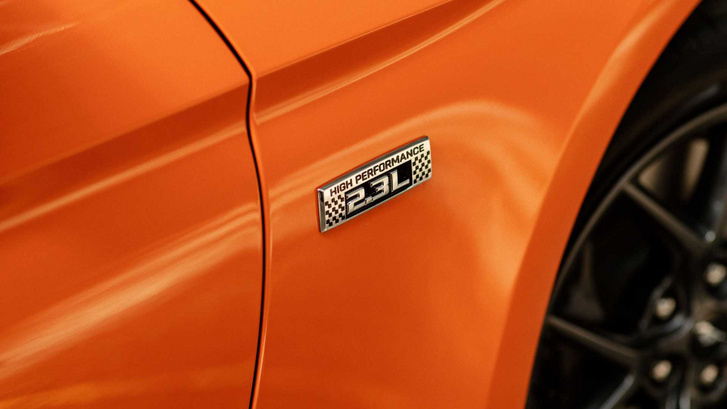 Of course the most powerful change is the quantification of engine performance: thanks to a slightly larger turbocharger, the top performance of the 2.3-liter Ecoboost engine will be 330 hp instead of 310. However, the maximum torque remains at 475 Nm, indicating that the character of the engine at low speeds is unlikely to change much. 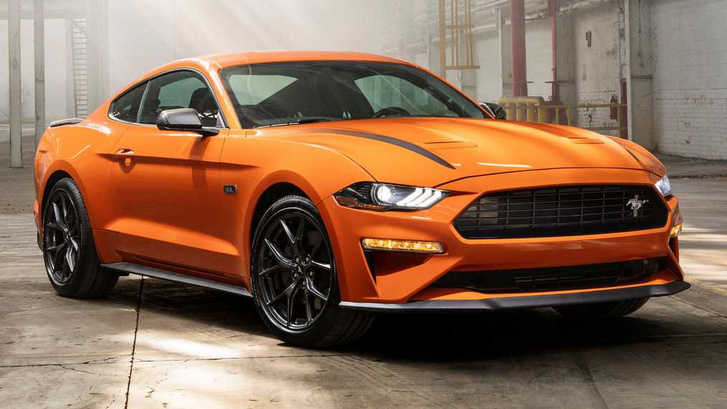 In order not to feel who pays for the sports package, to get something other than larger numbers in the brochure, this Mustang has a shorter, 3.55: 1 shifted differential instead of 3.31: 1 is noticeably better: although no accurate data has been reported , it is said that within 5 seconds the acceleration time is from a stationary position to a speed of 60 miles per hour, which is an improvement of at least half a second. But not only the engine was processed somewhat, but also the brake and the chassis. Previously, corner stabilizers with a diameter of 32 and 24 mm were installed, while a tower reinforcement was installed in the motor housing. All this promises a more precise steering and the 353 mm front brake discs of the GT promise a better deceleration. 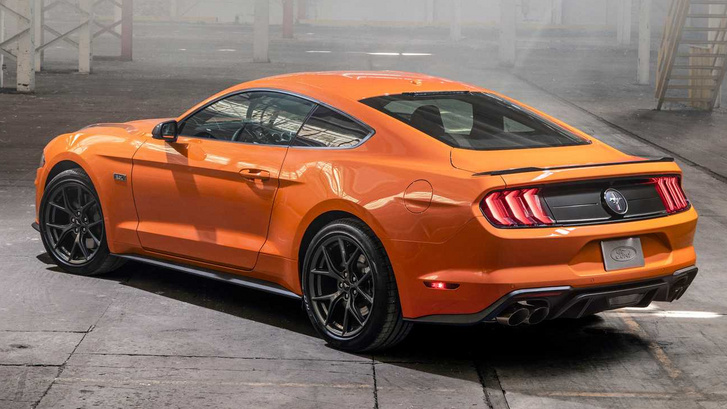 Of course there are also external features: front splitter, a small spoiler at the rear of the boot lid, rims 19 and four exhaust ends for the High Performance badges.